With the Dri-Eaz SurveyMaster handheld moisture detection system, you can search out and measure moisture with the same tool. It offers two different ways to detect moisture. Either with a set of penetrating pins, or with non-invasive radio frequencies. It can help you tell the difference between surface damage and deep down water damage. The straightforward LCD and LED color-coded scale displays readings clearly and simply. A hammer probe can be attached for even more precise, in-depth moisture readings. After detecting water and moisture, we recommend using a Dri-Eaz commercial dehumidifier, along with a carpet drying fan to help disperse the wet air. If this tools is not exactly what you're looking for, we do have other moisture detection tools available. Detects moisture without making holes in materials, and independently of surface moisture. Uses non-invasive radio frequencies to search for moisture behind finished materials like ceramic tile and vinyl flooring. 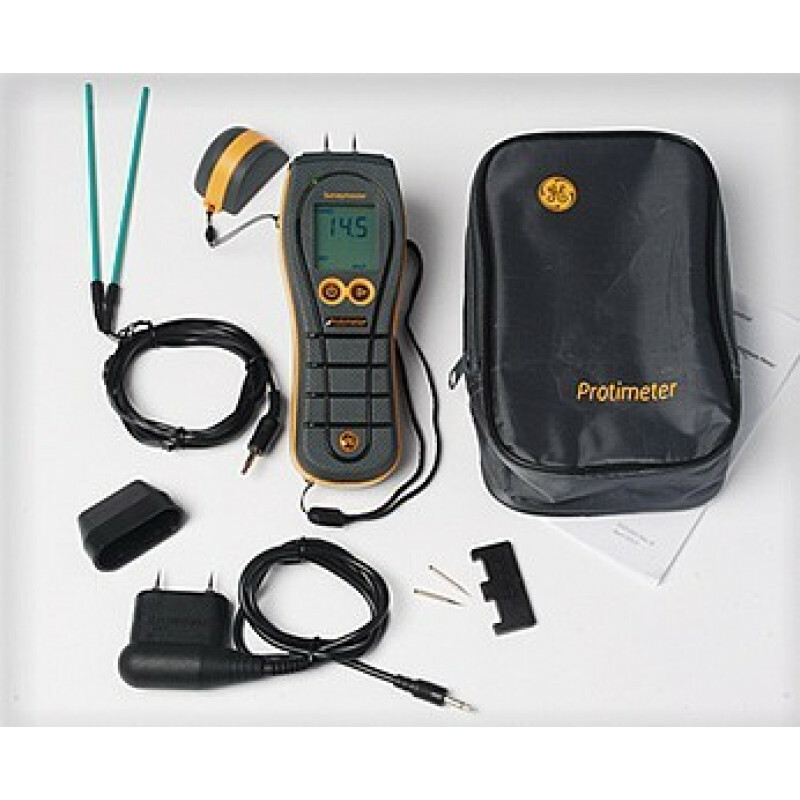 Penetrates materials with pin electrodes to take precise readings of moisture content in wood, drywall, or other materials. This is a review for the Dri-Eaz® SurveyMaster Handheld Moisture Detector.